How many km was on the clock when everyone picked up their renault sport? Most new cars should be less than 30km or so. If it was a demo it would have a record of the registration of the vehicle by the dealer in the papers for the car. If you are the first owner in the papers (normally pasted in the front of the ownership/warranty book) then not a demo. It is possible they may have allowed someone to drive it on dealer plates between when it arrived and when you took delivery (i have been to dealers that allow this) which may explain a few extra kms. But not a demo car as such probably. Interests:Classic cars, drive days, rugby league, sea cruising. 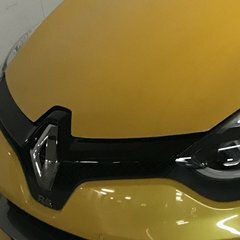 Car(s):Previously 2014 Renault Clio RS200 Sport in Liquid Yellow. Current 2017 Ford Escape 2 litre turbo SUV, Ruby red with all the bells and whistles. My Clio had 70 on it - they claimed it was because it was in a holding yard across town, but I reckon they lied and it was used for test drives. The Alfa had 20 on it. It annoys me, i paid new car price lol.